If you live in an urban city, chances are you know the feeling of a long daily commute. Our cities today are often polluted, congested, and the costs of transit increase year after year. Neighbourhoods on the periphery become under-developed, and their residents become isolated. This problem is exacerbated in cities which welcome new arrivals regularly. The question arises, how do we welcome and integrate newcomers into our society, without adding to traffic congestion? Bikes Without Borders has a simple solution, to what seems like a complex problem. 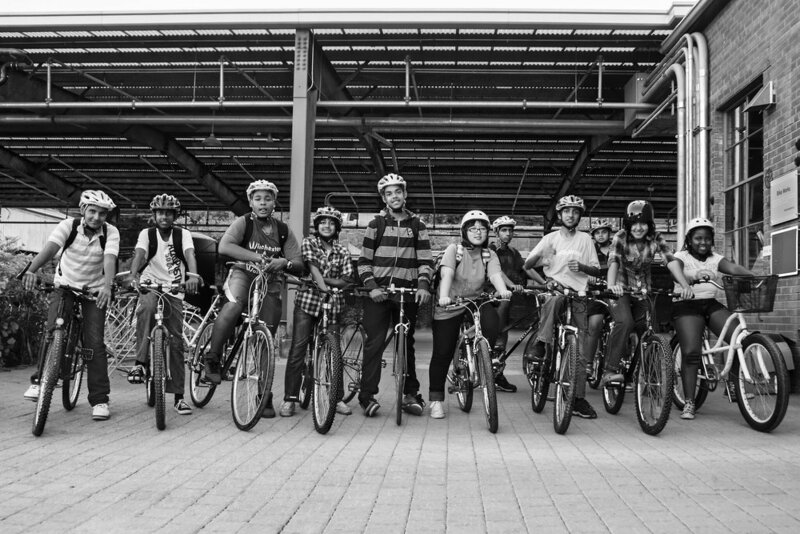 The Great Bike Recycle is a program developed by Bikes Without Borders to support vulnerable individuals in Toronto, giving them independence and promoting personal and social well-being. Anyone can donate a bike, which will be refurbished by Bikes Without Borders, and given to someone in need. This not only makes a positive impact on the life of the individual, but also has the possibility to reduce the strain of the public transit system, congestion on the streets, and is far more environmentally friendly. According to a report by the Torontoist in October 2016, a Forum Research poll recorded that 70 per cent of Torontonians were in favour of bike lanes. This new wave of pro-bike sentiment is most evident on Bloor Street, where the bike lane serves 6,000 bikes each day, and counting. An initiative that is so widely welcomed city-wide, is surely the smartest way to integrate struggling residents. In a world where the divide seems to widen between the rich and poor, perhaps bikes are the bridge to connect the two. Bikes Without Borders is proof that such possibilities exist. To read more about Bikes Without Borders, click here.